Apple on Wednesday provided registered developers with a third pre-release beta of watchOS 3.1 for Apple Watch, as testers say the forthcoming update seems to improve battery life. watchOS 3.1 beta 3 is identified as build 14S471. It's now available through the Apple Watch app on a connected iPhone. Unlike with iOS and macOS, there is no public beta for watchOS. 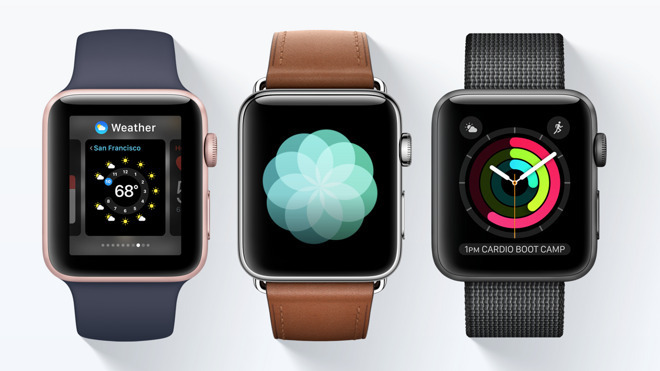 Only members of the Apple developer program can install and test watchOS betas. Release notes accompanying previous watchOS 3.1 betas have not detailed any new features. But some commenters on Reddit have indicated they have seen improvements in battery life after installing the update.